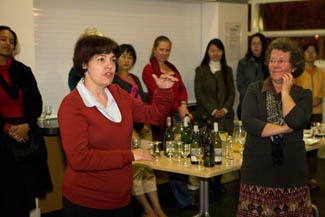 I am delighted to welcome Intersections to the Australian National University (ANU). At ANU, an institution that is highly research intensive in areas of national and global signifiance, we are particularly proud to support high quality research in the Asian and Pacific regions. Our expertise in Asia and the Pacific on gender, sexuality and culture provides an ideal backdrop for and home to this electronic journal which makes an important contribution to intellectual debates on these issues. I welcome readers to participate in the life of Intersections and to partake in its intellectual and technological achievements. We are delighted to welcome Intersections to the Gender Relations Centre, in the Research School of Pacific and Asian Studies, College of Asia and the Pacific at the Australian National University. This has proved an innovative and influential electronic source in the study of gender and sexuality across Asia for many years. Several staff at the ANU have been on the editorial board since its inception: most notably Dr Tamara Jacka of the Gender Relations Centre, Dr Peter Jackson of Pacific and Asian History, RSPAS and Professor Mandy Thomas, Pro-Vice Chancellor Research. 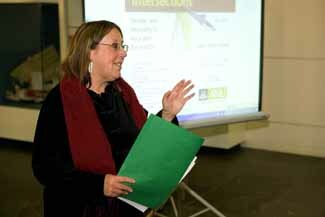 We are grateful that the editor Dr Carolyn Brewer moved to Canberra in July 2007 and was able to bring the journal with her from Murdoch, its previous electronic location. We trust that the Centre and the College can give her strong ongoing material and moral support in addition to the office and facilities we have already provided, since the linking of this widely read electronic journal with GRC and ANU further enhances our already high profile in the study of gender and sexuality across Asia and the Pacific. As a scholar of the Pacific I am especially delighted that as part of this relocation Dr Brewer has agreed to extend the scope of the journal to the Pacific, and that eminent scholars of gender and sexuality in the Pacific, from Australia and overseas agreed to be on our editorial board. We look forward to some exciting special issues dedicated to the Pacific in the future and to some volumes which connect Asian and the Pacific regions, as many earlier publications from the Gender Relations Centre have done. Along with Dr Brewer, our core editorial board now based at ANU is Professor Mandy Thomas, Dr Peter Jackson, Dr Tamara Jacka, Dr Katerina Teaiwa and Professor Margaret Jolly. Dr Gaik Cheng Koo has recently joined us as Film Reviews Editor and Samantha Keech-Marx a graduate student in GRC is our Book Reviews Editor. We recently officially welcomed Intersections to the ANU on April 9 and simultaneously launched the most recent issue, edited by Drs Helen Creese and Rosemary Roberts of the University of Queensland. Dr Creese delivered a fascinating paper on sati in colonial Bali to our Gender, Sexuality and Culture seminar series earlier that day and was with us that evening for the launch of Gender, Text and Performance in Asian Cultural Contexts (Issue 16. See the linked photographs of this great occasion). This is an exciting volume, bringing Asian experiences in China, Japan and Indonesia into vibrant contact with important questions for feminist scholars and activists everywhere about the dialectics of structure and agency and the relation between embodied gender performances in everyday life and 'performance arts'. The range of this issue is vast but the thirteen papers are consummately framed and articulated by the introduction from Rosemary Roberts and Helen Creese. Happy on line reading for us all. Heartiest Congratulations! A stupendous task undertaken and completed gloriously. I quite like the new design of the Home Page of Intersections: it is rich, aesthetically pleasing and spectacular. I find it appropriate especially in the context of the changed title of the Journal: the images, dexterously interwoven and intersecting each other semiotically convey the complexity and multilayeredness of the issues of Gender and Sexuality, which are sites for the interplay of diverse discourses of politics, religion, culture, etc. The compass symbolises the encompassing field of the Journal and the lines criss-crossing and intersecting both each other and the compass mark convergences and divergences in the ongoing polemical debates and controversies. Please do convey my congratulations (and appreciation) to Michelle Antoinette and Luke Hambly. Dr Carolyn Brewer, Editor, Intersections: Gender and Sexuality in Asia and the Pacific, Prof Margaret Jolly, Director, Gender Relations Centre, Research School of Pacific and Asian Studies, College of Asia and the Pacific, Australian National University, Prof. Mandy Thomas, Pro Vice-Chancellor of Research, Australian National University. 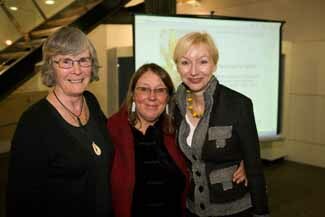 Margaret Jolly welcoming Intersections to the Gender Relations Centre at ANU. 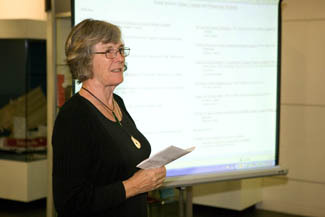 Carolyn Brewer replying to Margaret's welcome at the launch of Intersections. Assoc Prof Helen Creese, University of Queensland, guest editor (with Rosemary Roberts) of Issue 16, 'Text, Performance and Agency in Asian Cultural Contexts,' speaking about the processes involved in editing the issue. 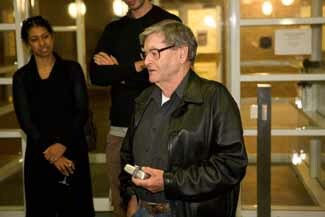 Dr Ian Henderson speaking about the technology involved in the publication of Intersections. 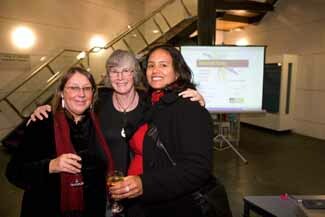 Carolyn Brewer, Margaret Jolly and Dr Michelle Antoinette, Gender Relations Centre, ANU and designer of the Intersections logo.